ENJOY FREE HANDS AGAIN: Get your freedom back. Do housework, grab a coffee, shop & tend to other kids while keeping baby close. Baby stays happy while you’re more productive & less stressed. Great for fussy babies! STRENGTHEN BOND WITH BABY: Forging a close bond with your infant is vital to their development. Our wrap keeps baby close to your warm body & heartbeat where they feel safe & secure. For newborn – 35 lbs. UNBEATABLE QUALITY: Manufactured with premium materials to ensure years of use and repeated washings. 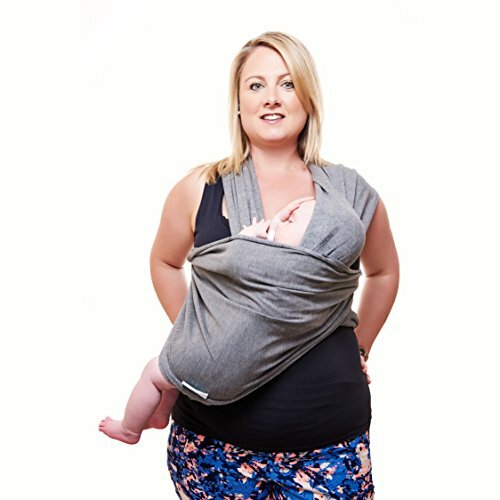 Sturdy fabric holds your baby safely & securely. This is a wrap you’ll pass on to friends and family! Whether you’re a first-time Mum or Dad, or on your fifth baby, you know that time is precious. That’s the beauty of the Funki Flamingo Baby Carrier. 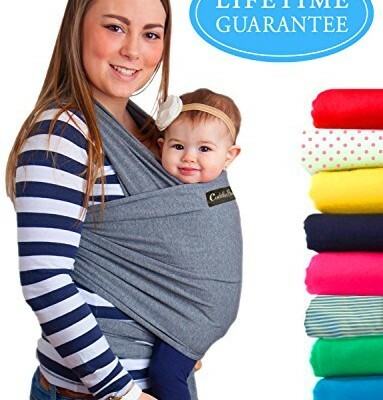 Tie it around you, slip in your baby, and suddenly you’ve got two free hands again! Shop at the grocery store, vacuum the living room, and tend to your other little ones. All the while, baby is cuddled against your chest, where he’s soothed by the sound of your voice and warmth of your body. Unlike other brands, this strong yet lightweight carrier is made of a soft cotton/spandex blend. 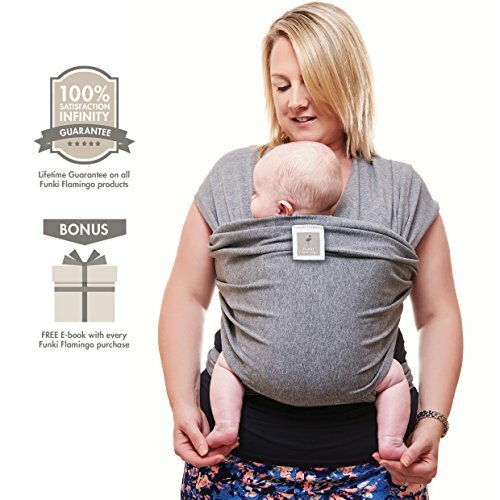 This gives the fabric slightly more stretchiness, allowing you to easily adjust your baby’s position (a plus if you’re breastfeeding). And, there are no buckles, straps, or snaps to fuss with. 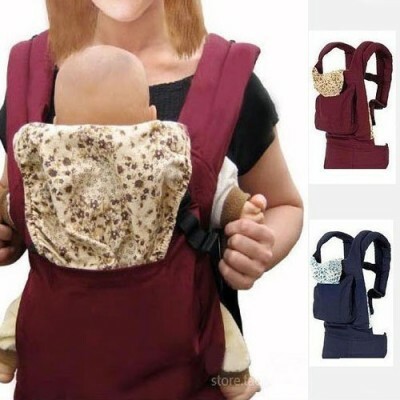 Our carrier is quick and easy to tie on, yet holds your baby securely. Get more bonding time with your baby AND more time to do the things you need to do. 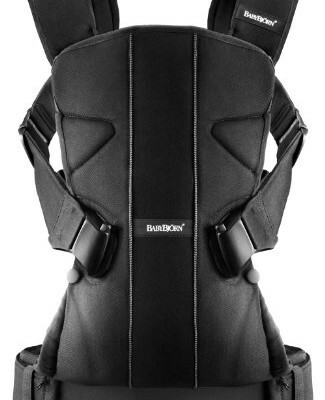 The Funki Flamingo Baby Carrier is a “win” for both of you! Also makes the ultimate shower present for that special Mum or Dad to be. GUARANTEED FOREVER: We believe in our product. That’s why we offer a 100% Money Back & Infinity Replacement Guarantee. Even if you give your wrap to someone else, it’s still covered! Buy with peace of mind.